Learning a Programming language e.g. Java or C++ is easy but learning to write good code is not. Writing good code is an art and also an important differentiating factor between an average programmer vs a good programmer. Since most of the programmers often look for inspiration and resource to improve their coding skill, I decide to share some of the good books which can help them to improve their coding. Since many universities, colleges and training courses only teach programming languages but not the art of coding, it still remains one of the self-learned skill. The internet has helped a lot to coders with several websites coming up to teach code, programming contest, helping to solve you programming interview questions and all, but IMHO, books are still vital for overall improvement. In this article, I am going to share some of the great books, written by both great author and great programmers, which can certainly help you to write good code and become a better programmer. Coding is an art and like many arts, it takes a lot of practice, study, and self-discipline to become a good coder. In my childhood, I have read that "books are your best friend, keep them near to you", and that has been proved absolutely correct in the world of Programming and Coding. Programming is a challenging field with new development happening every day and knowledge quickly becomes obsolete, but good coding skill and self-discipline is something, which will never get obsolete and help you throughout your career. Books have helped me a lot and in this article, I am going to share 5 great books which will help you to improve your coding skill. You might have read some of them already, but they are worth reading again. I have always learned new things while reading a good book like Clean Code twice. They are must read books for any Programmer who wants to become a good coder as well. They will also help you to do well in your Job, earn respect from peers and seniors, and also do well in job interviews. Clean code is one of the best books for java programmer but any programmer can benefit from it. This book will help you to write better code.This book teaches you about code smell, function and data structure, object-oriented design principles, design patterns. Uncle Bob Martin who himself is a great programmer has done a tremendous job of imparting his year of experience in simple words. 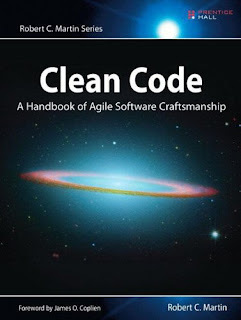 The title "Clean Code" aptly justifies advice, best practices given to the programmers in this book. If you have to choose just one book then pick the clean code. This is the one book I recommend to every Programmer who codes. 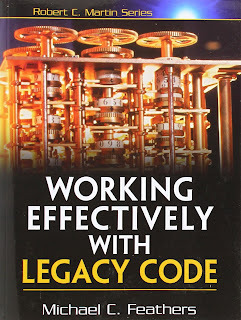 Since development and maintenance are primary jobs of software engineers, and a bad code is hard to maintain, but sometimes you have no choice but to live with that, this book will help you how to work effectively with legacy code. This is also from the Rober C. Martin Series, the same series where "Clean Code" and other good books like "Clean Coder" belongs. This is one of the rare books where you will find the best combination of theory and practice. 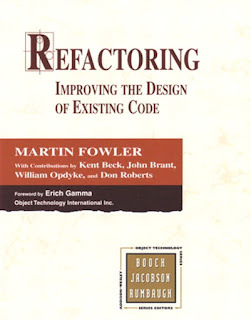 Refactoring is a process to make your working code more beautiful and this book can help you there by leveraging already tried and tested patterns of software development world. 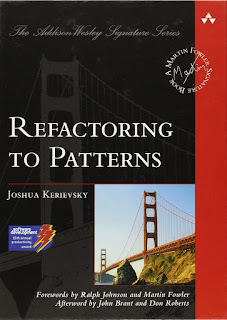 This is one of the best books to learn how and when to use design patterns. Java developers have added advantage because examples are given in Java, but it's not a big problem for C++, Scala or Python developer because examples are easy to follow and can be understood by anyone who knows how to read the pseudo code. Java's verbosity and English like language will also help a lot. Refactoring is a process of making a working code beautiful, refactoring helps to improve the design of working code.It is also one of the important tricks of good programmers, more often than not good coders are also good on refactoring. This book will teach you both the art and science of refactoring code.It doesn't matter whether you are a Java programmer, C++ developer or a Python developer, every programmer can benefit from this book. This book is a collective effort of some of the best authors in the programming world. List of authors includes Martin Fowler, Kent Beck, John Brant, William Opdyke, Don Roberts, and forward by Erich Gamma. 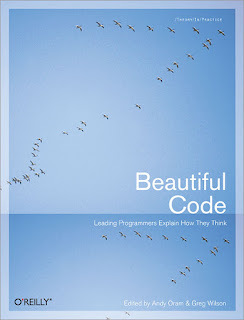 This is one of the great books to improve your coding skill because it offers you an opportunity to see how expert programmer approach a problem, how the written code and how do they solve the problem and still able to keep their code beautiful. This book is a collection of case studies that tells how those expert programmers, which includes, Brian Kernighan, Jon Bentley (author of Programming Pearls), Tim Bray, Karl Fogel, Michael Feathers (author of Working Effectively with Legacy Code), and many more great authors and programmers. No matter, which programming language you use for coding e.g. Java, C++, Python or Ruby, you will find something interesting in this book. That's all about some of the great books to improve coding skill. Both beginners and experienced programmers can benefit from these books. In fact, these are the best resource for expert beginners which has experience but lack the knowledge to support those experience. It's a real shame if you have 10 years of experience but cannot write good code and believe me it happens. If you are not writing code on the daily basis, not trying to improve, not introspecting than a number of years in the job will grow but your programming experience will not. You will struggle to write good code and good unit tests, which is one of the important traits of a good programmer. Never is too late, read some of this book to get back on track, if you are not sure which one to start, just read the Clean Code.